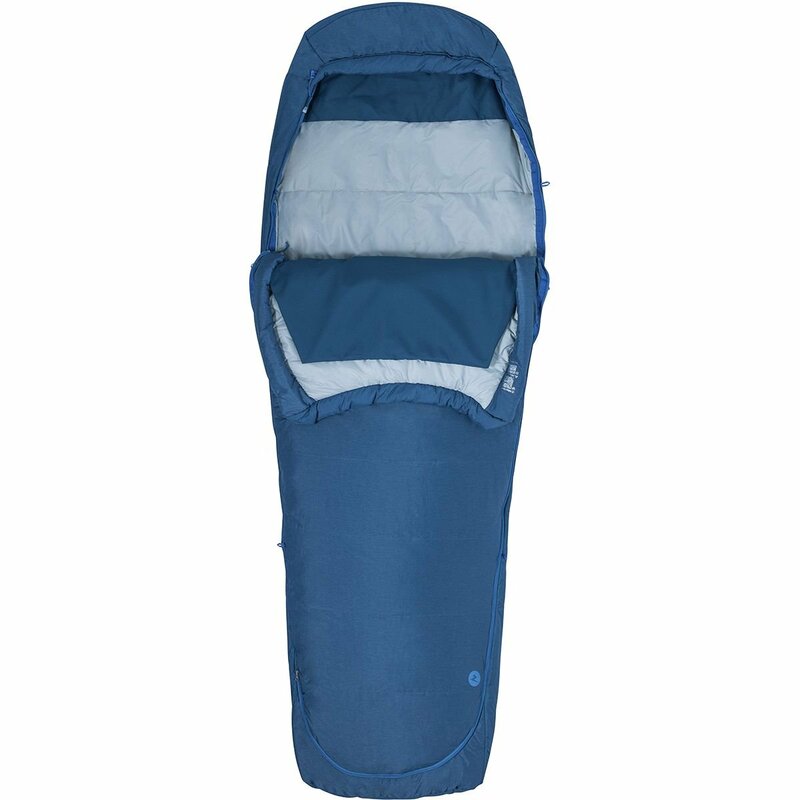 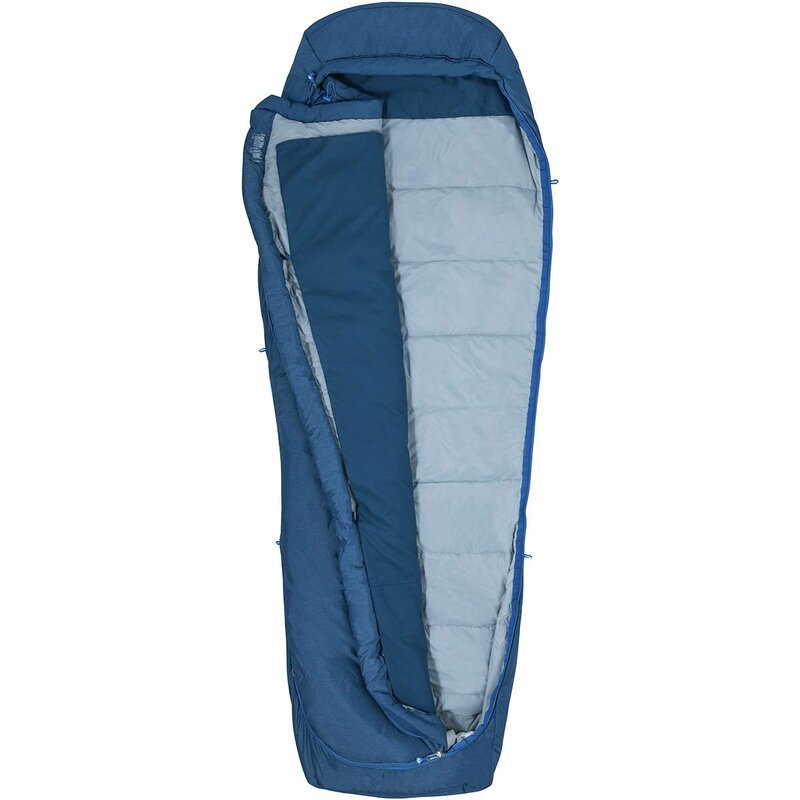 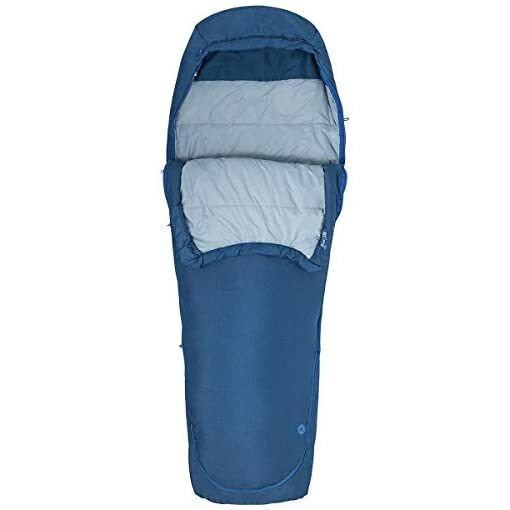 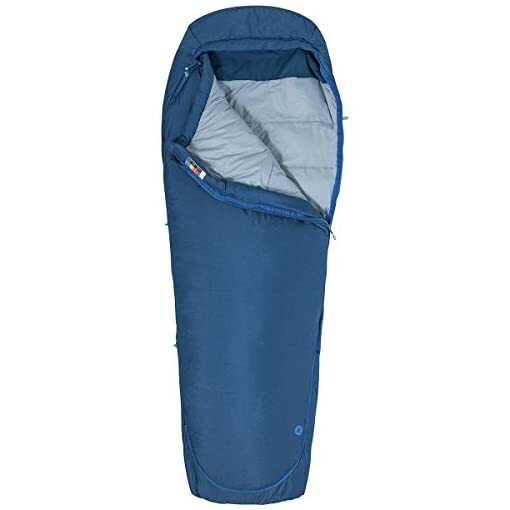 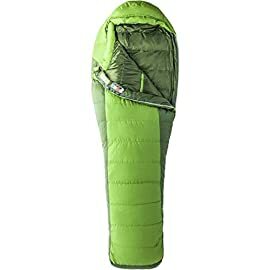 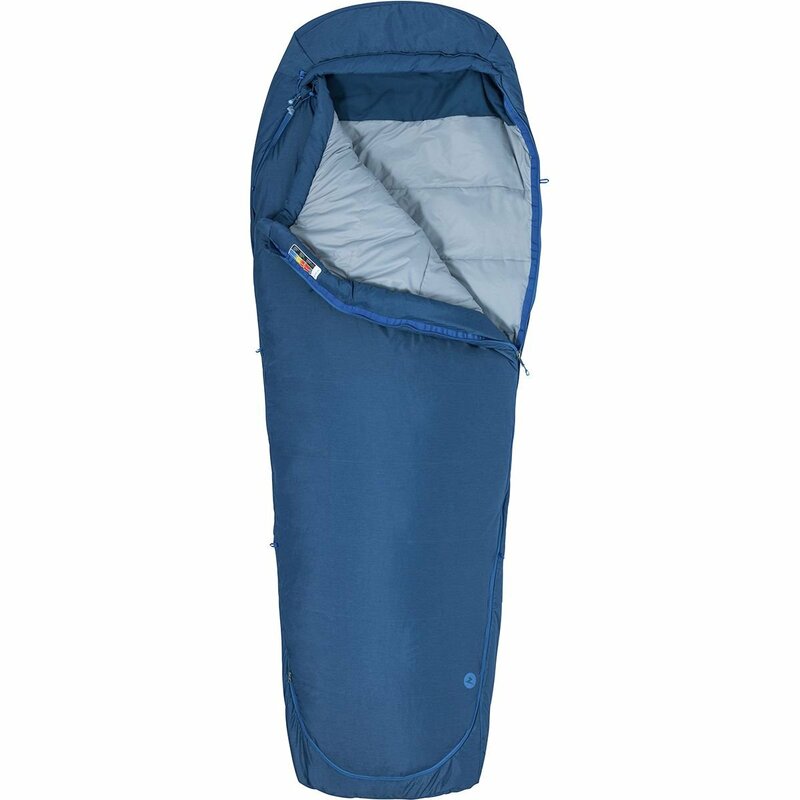 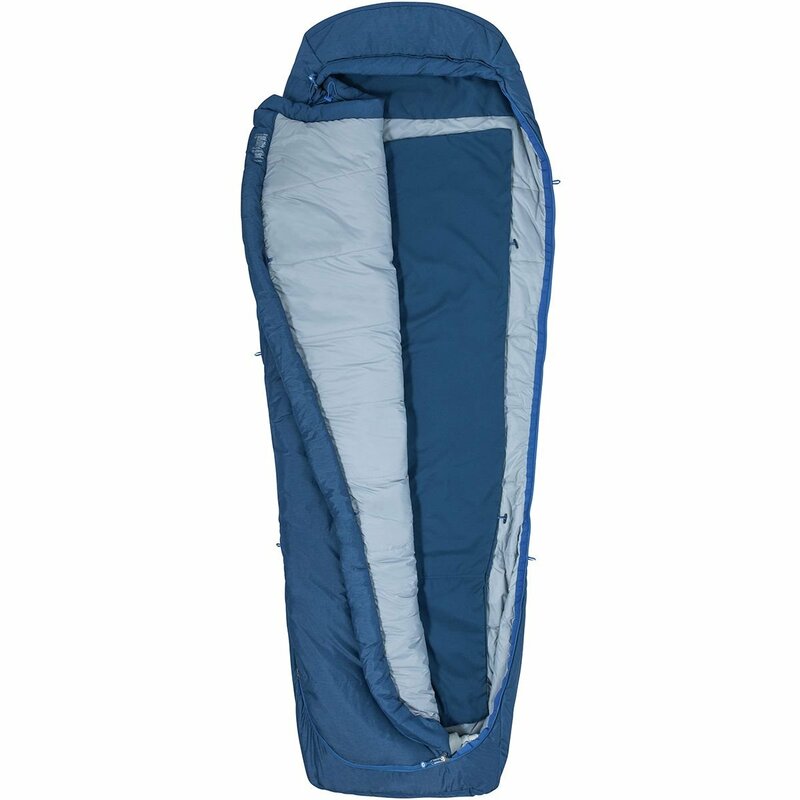 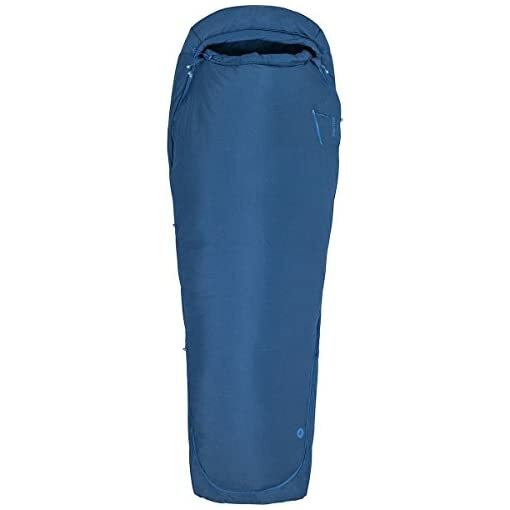 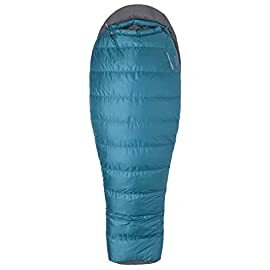 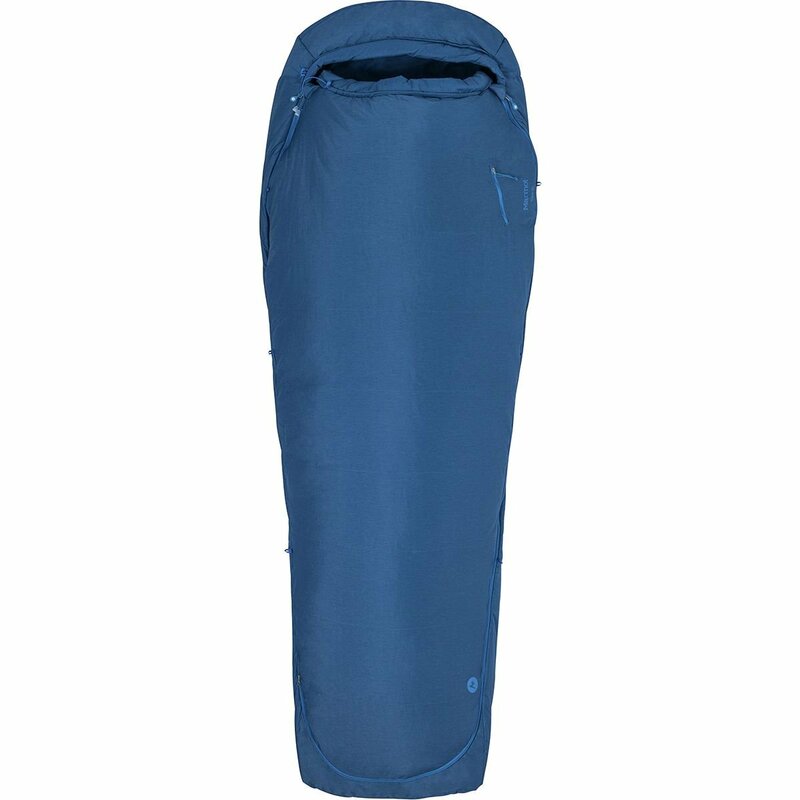 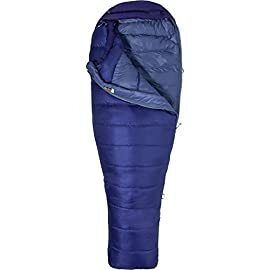 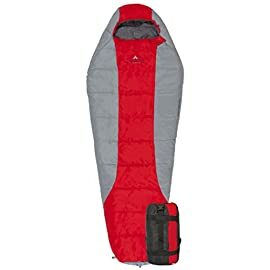 Marmot Kona 20, Head out for an evening under the stars together with your Marmot Kona 20-Degree Synthetic Sleeping Bag. 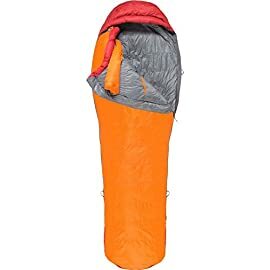 This toasty synthetic bag is filled with HL ElixR insulation, which supplies a soft feel and warmth even if soggy Northwest conditions threaten to put a damper for your weekend camping travel. 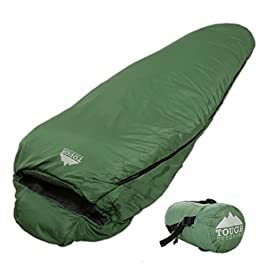 The durable nylon and polyester construction means that you can tote this bag along on rugged weekend adventures year after year, with a versatile 20-degree rating that thrives on chilly spring nights. 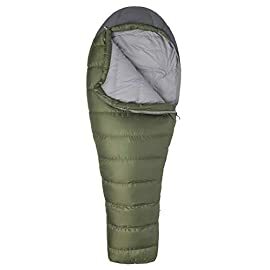 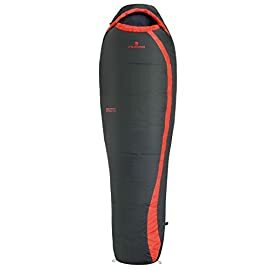 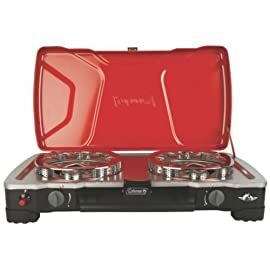 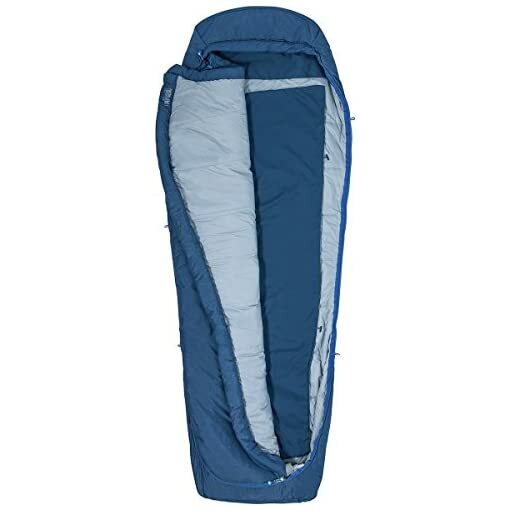 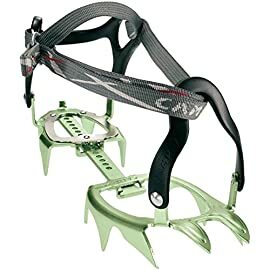 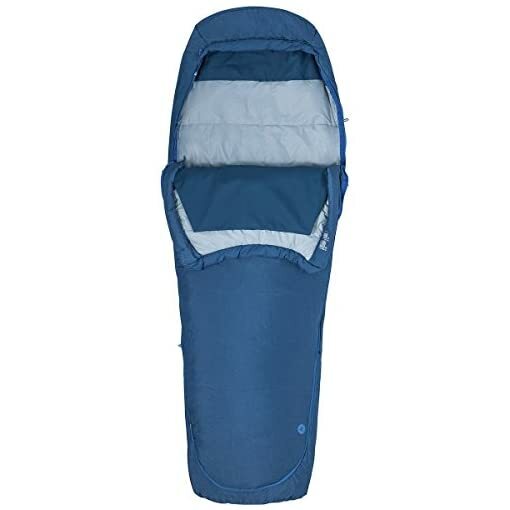 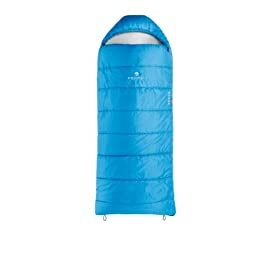 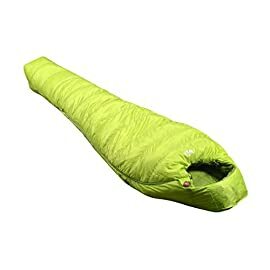 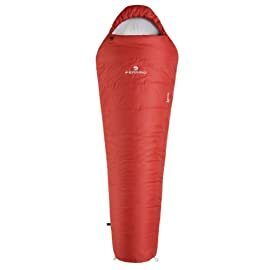 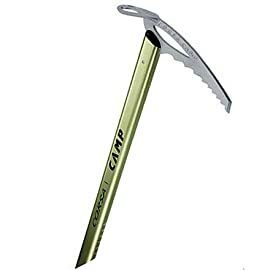 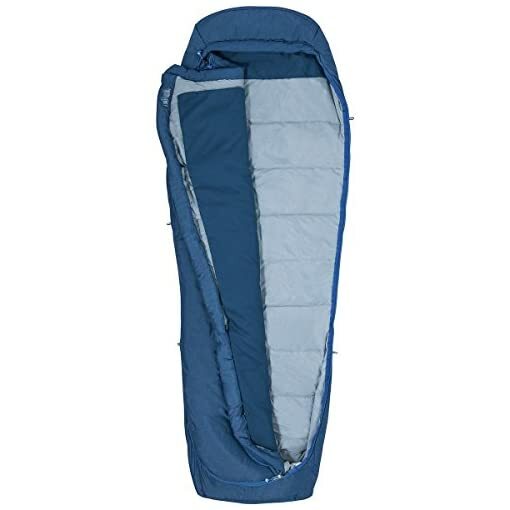 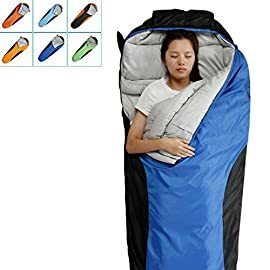 The full-length zipper means that you can quickly ventilate when you find yourself sleeping under the stars come summertime, and the external stash pocket is the easiest place to stow a set of earplugs in case your tentmate starts to sleep talk again.